Voting is the key to our future, now is the time to take the next steps towards a positive future by making your voice count through voting. LisaRaye McCoy deliberates the violence in Chicago, failed education for people of color and what must be done to change the current narrative in America and the current administration. 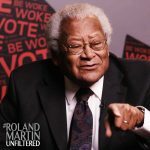 In this refining interview hosted by Roland Martin Unfiltered, we explore black communities, equality for all and the current landscape of racial tension in The United States. Don’t be a fool. 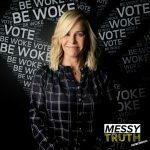 Your time is now, we must vote – This is Be Woke.Vote. If you don’t stand for something you will fall for anything. You must have the courage of your convictions through voting. 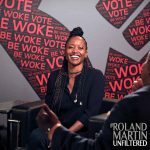 Actress, Erika Alexander, deliberates her political stance in today’s America, fighting racism and becoming an advocate for your community. 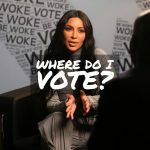 In this groundbreaking interview hosted by Roland Martin Unfiltered, we converse millennial voting, racial tension in America and the current administration. In today’s America you must stand up against bigotry and hatred – fight back with your votes – This is Be Woke.Vote. As a group we must make a difference, and the only way we can make a substantial change is becoming registered and voting. Artist Jose Guapo tackles urban community issues, why most young people of color are not interested in voting and easier ways to become registered in your own communities. 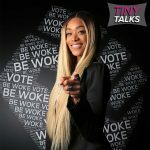 In this fresh interview hosted by Tameka ‘Tiny’ Harris, we converse midterm voting, getting people excited to vote, especially in the urban communities and life in Atlanta. There are a lot of things that are affecting our urban communities, it is time to be accountable for our own future. We must be heard – This is Be Woke.Vote.